My friend Paul pointed me to this story about it in Boston magazine. I got to see it in person last Friday, just when they were taking it apart. Sadly, I didn’t get to ride, but a guy there said that about 400 people had. Some quite obscene things had been painted on it, though, so these Millenial-generation students are not all about good clean fun. 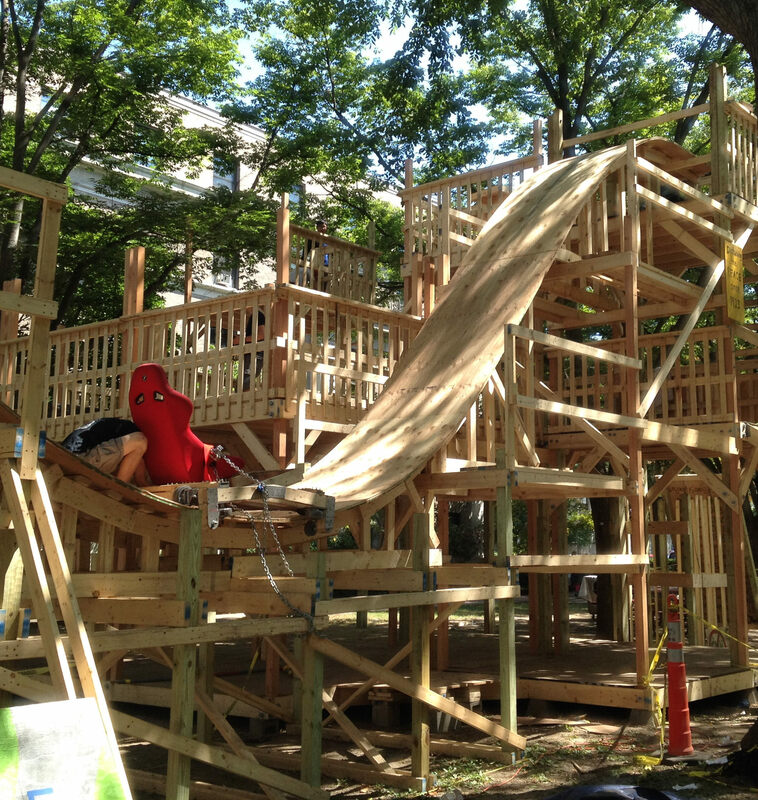 A much smaller one was built in 2010, but the city of Cambridge shut it down for safety violations as soon as they heard about it. This time the builders were careful to get permits and an inspection by a structural engineering firm. MIT has a much more diverse student body today. There are a lot more women, naturally, but maybe more art people than straight-up technicals. There’s a lot more DIY art out there now, like Burning Man and Makerfests. Students grow up with that instead of Heathkits. I wonder, though, if something bigger isn’t happening. A project like this would take at least a dozen people to design and build, and would take months. You couldn’t have gotten a dozen of us to agree on doing anything. We were solitaries, not solidaries, and still are. As in Milorad Pavic’s novel of 1990, “Landscape Painted With Tea”, we were much more like the self-directed idiorhythmic monks on Mount Athos rather than the communal cenobites. Students these days already know about working in teams, know that cooperation is critical to accomplishment. We had to learn that in course of our careers. 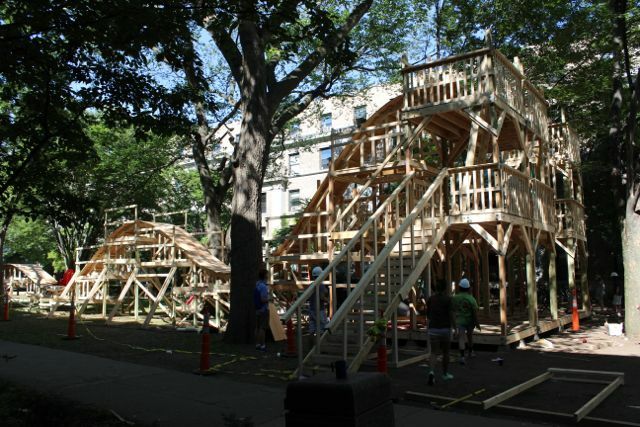 Yet if learning cooperation early lets young people build stuff like this, I’m all for it! This entry was posted in Uncategorized and tagged mit-ish, Tech life in New England. Bookmark the permalink.